In this dissertation, I have presented a comprehensive research on Bitcoin. Bitcoin was introduced in 2009. This is a decentralized digital currency and works like cash, but they are mined like gold (Volastro, CNBC Explains: How to mine bitcoins on your own, 2014). 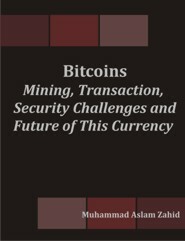 In this thesis, I will explain that how this currency works and how users can mine Bitcoins. Bitcoins mining is a very hard process, it is almost impossible to create Bitcoins on simple computer. You need specialist hardware to generate Bitcoins. Pool mining is quite popular these days, as numbers of people are taking interest in making money, so the difficulty level of mining Bitcoin is increasing day by day. I am using codes based on publically available sources in order to explore the algorithms for mining, hashing and transaction of Bitcoins (Setzer, 2014). I will explain how the blockchain concept can be used for more than just money (Jones, 2014). Weakness and security challenges faced by Bitcoins are part of this paper.